We’d love to show you what our beautiful city has to offer in style. Whether you’d like a slice of history or of the best pecan pie in town, we know where to take you in our limousines or party bus. Shopping tours, foodie frenzies, and pub crawls in the comfort of our luxury fleet. Inquire to customize your perfect tour in Savannah, GA. Share a day with friends and family enjoying the ride just as much as the sights, making your tour of Savannah an unforgettable experience! 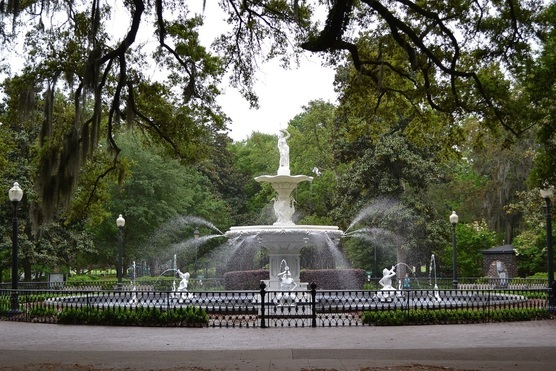 Do you have an itinerary for a tour of Savannah, GA? We have many options available but are open to creating a custom package. Call us now and our experienced staff will work with you to make a dream cruse through our historic city in luxury limousine. How many people can fit on our Savannah tour? We can accommodate a tour for 2 to 20 in one vehicle. Larger group? Talk to us about reserving two limos. Whatever the size, we can handle your group tour transport needs. Private luxury SUV's, limousines, vans or busses can be arranged for your dream tour. How long can we rent the limousine? A minimum service requirement is 3 hours, but we are here to serve you as long as your night goes on! Pricing is based on hours, so call us to get a quote.